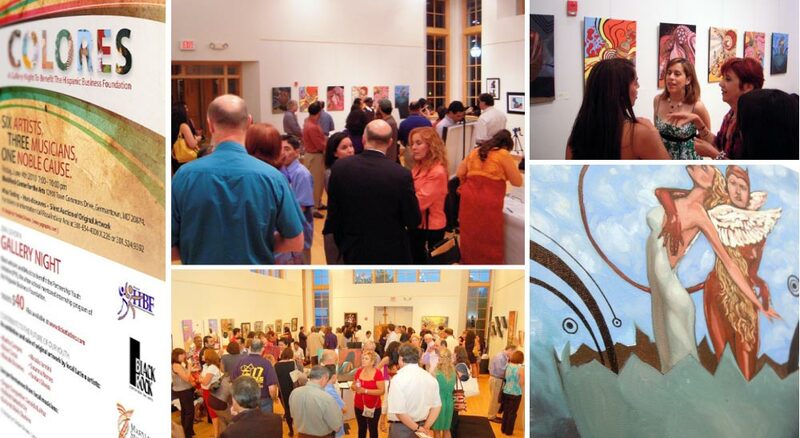 Yordan Silvera's paintings were featured at Artomatic Frederick. This is a 5 week long event that brings together: painters, sculptors film makers photographers, dancers, poets, theatre groups, comedians, and musicians. Artists, organizations and visitors come together and illustrate the energy, vitality and strength of the arts to impact the community. 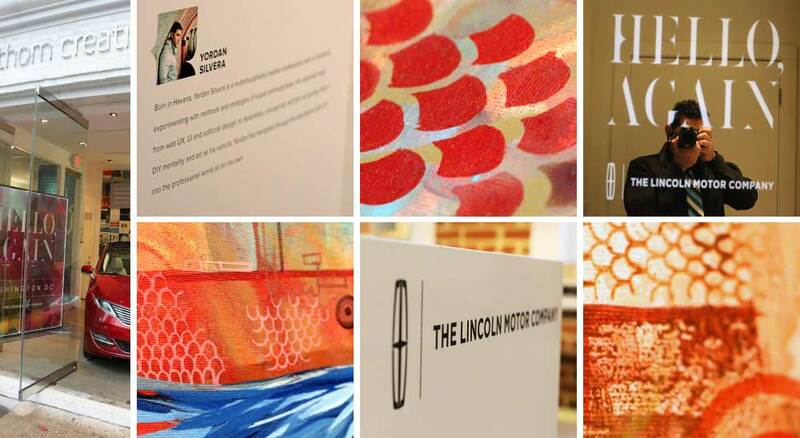 Yordan Silvera's artwork featured on Hello, Again, where Lincoln Motor Company aims to provide a reintroduction to D.C. through an unforgettable series of experiences curated to multicultural tastes, through undiscovered cultural gems, hidden spaces and pioneering creators. This was a concept event for the all-new 2013 Lincoln MKZ series. 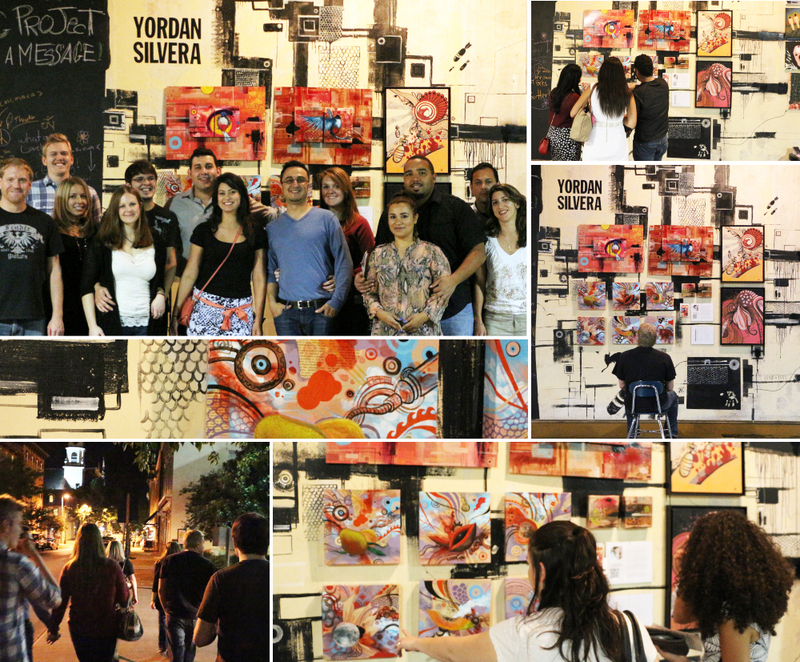 The work of Yordan Silvera was featured at Colores, a night filled with Art and Music to benefit the Partnership Youth Initiative (PYI) of the Hispanic Business Foundation of Maryland. 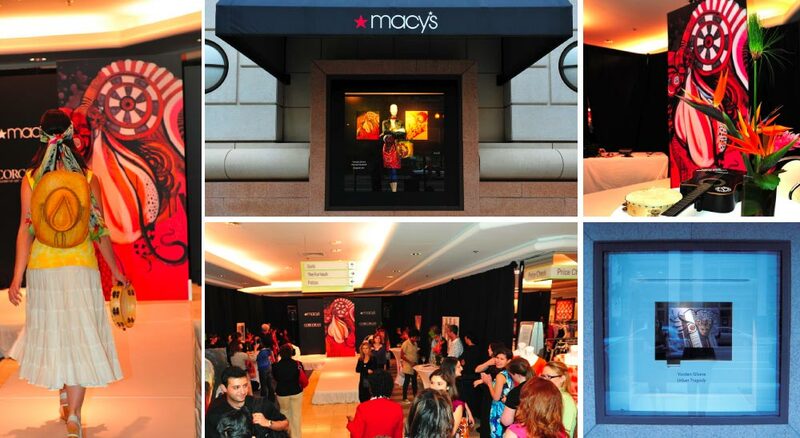 Yordan Silvera was selected as a theme for Macy's Summer of Love party, where Macy's Special Events department joined forces with the Corcoran Gallery of Art to create a fashion event reminiscent of an Art gallery.